Produced from the hybrid grape Chambourcin, this medium-bodied dry red wine is soft on the finish and features flavors of plums and cranberries. 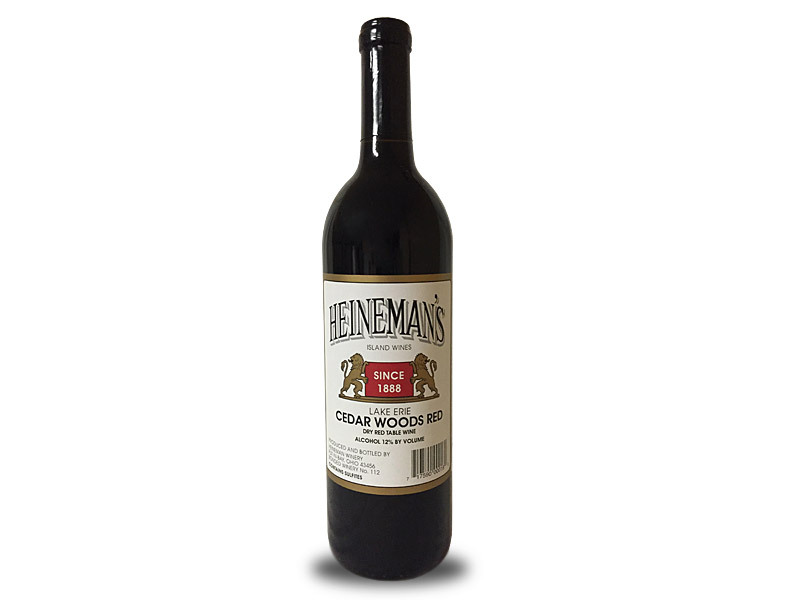 This wine is named after a wooded area on Put-in-Bay owned by Heineman WInery, known as the Cedar Woods by Islanders. Red Cedar trees are harvested there and used as posts in our vineyards. This practice has gone on for over 150 years. In the 1800's, many of the trees harvested were used for fuel by Great Lakes steamships.